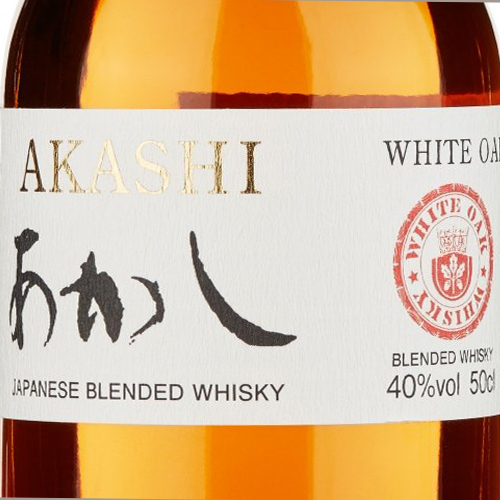 The Japanese Blended Whisky Akashi delle White Oak Distillery is a sublime Blended Whiskey, powerful and has a creamy and creamy texture. Composed of 30% barley malt, it is characterized by pronounced aromas of American oak and vanilla, and is especially distinguished for the soft and balanced final. THE WHISKY Golden yellow. It has light and delicate hints, including notes of cereal, luscious scents and nuances of yellow fruit. The taste is soft, intense and slightly spicy, with aromas reminiscent of olfactory scents, and with flavors of vanilla, almond, chamomile, sherry and dark chocolate. The persistence is long, dry, spicy and tannic. THE DISTILLERY The White Oak Distillery, founded in 1888 by Eigashima Shuzo, produced classic sakes until 1984 when it was expanded with the addition of algae for whiskey production. The distillery algae work only for one month per year so the amount of whiskey produced is always very small. Akashi is a blended whiskey with no age definition, created with single malt from White Oak distillery and for the European market the molasses have been replaced by wheat whiskey. Golden yellow. It has light and delicate hints, including notes of cereal, luscious scents and nuances of yellow fruit. The taste is soft, intense and slightly spicy, with aromas reminiscent of olfactory scents, and with flavors of vanilla, almond, chamomile, sherry and dark chocolate. The persistence is long, dry, spicy and tannic. The White Oak Distillery, founded in 1888 by Eigashima Shuzo, produced classic sakes until 1984 when it was expanded with the addition of algae for whiskey production. The distillery algae work only for one month per year so the amount of whiskey produced is always very small. 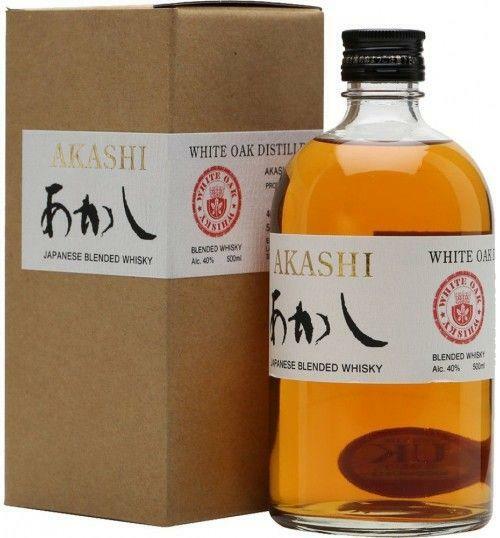 Akashi is a blended whiskey with no age definition, created with single malt from White Oak distillery and for the European market the molasses have been replaced by wheat whiskey.